Located on the northeastern coast of Mauritius, this beautiful resort is the perfect place to retreat to with your loved ones. Choose from a garden or ocean room, or if you are looking for the best of the best, the deluxe suites will tick all the boxes. There are a wide range of sporting activities for you to enjoy, including archery, golf and tennis. The hotel also offers a selection of watersports including kayaking, stand up paddleboarding, sailing and windsurfing. If you fancy a little relaxation time, then the spa has everything you could possibly want. The wide range of treatments offered means there is something for everyone. From traditional massages to home remedies, immerse yourself in pampering heaven. Only a few steps away from the beach, these garden rooms are light and elegant. Beautiful furnishings and a sleek design makes the room feel comfortable and luxurious. Choose from a king size bed or two queen size beds. A selection of rooms have interconnecting doors which are great for families. The sliding glass doors lead out onto your private terrace area which is furnished with chairs and a table. Furnished in the same style as the garden rooms, the glass sliding doors which lead out onto a private balcony allow light to flood into the room. The en-suite bathroom is finished to a very high standard and there are also a selection of interconnecting rooms. 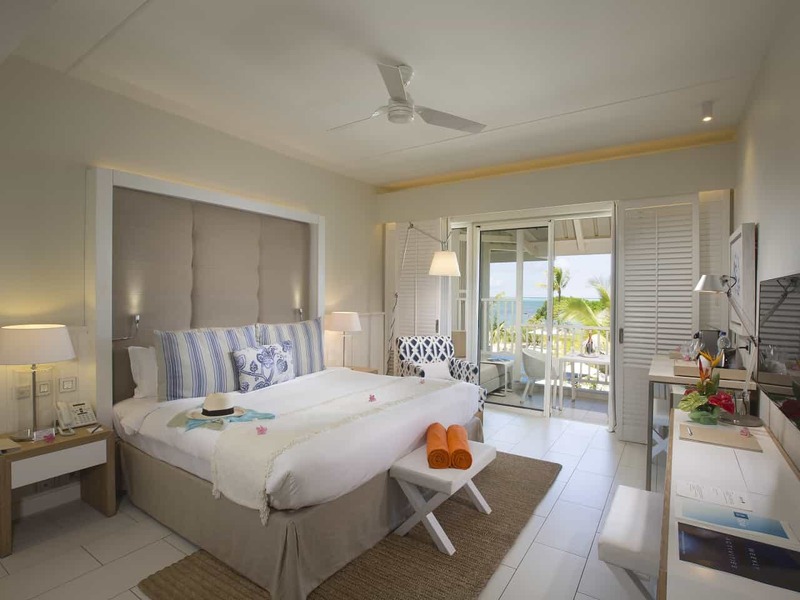 Situated right on the beachfront these suites are the epitome of chic elegance and luxury. They are designed especially with romance in mind and are perfect for a honeymoon couple. There is more privacy and space for you to enjoy. The thatched roof gives it an authentic beachy feel. Enjoy your private outdoor terrace area which also has a private plunge pool for you to cool off in. This all-day restaurant has live cooking stations where you can get your meal freshly prepared. The buffet section is filled with loads of yummy dishes for you to enjoy. Choose from the a la carte menu and enjoy your food in a sophisticated setting with views of the beach and beyond. The perfect place for a gentle morning. Here you can grab a coffee and pastry in the morning, or sandwiches and snacks at lunchtime. Enjoy the delicious Mediterranean cuisine with the sand between your toes. Treat yourself and head to the spa at Radisson Blu Azuri Resort. The selection of treatments available is sure to impress. Once you have your first, you’ll want even more! From traditional massages to exotic facial treatments and aromatherapy there is so much for you to try! There are a great number of activities offered at the resort both land and water based. Head to the tennis courts and practise your swing, or hire a bike and ride around the local area exploring. Head out onto the water in one of the glass-bottomed boats or if you want something a little more challenging, the kayaks and stand up paddleboards are great fun.